Action1 Resume Services is a Toronto Resume Writing firm preparing resumes, cover letters and LinkedIn Profiles for a wide range of jobs, careers and industries. Our resume writers have assisted individuals as well as corporations and nonprofit organizations including Manulife Financial, Astra Aerospace, Workplace Safety and Insurance Board, Toronto Social Services, COSTI Immigrant Services, The Centre for Advancement in Work and Living (C.A.W.L.) and Metro Toronto Labour Education Board. Action1 Resume Services is a member of the Professional Association of Resume Writers and Career Coaches. 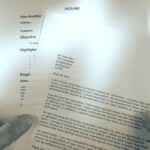 Action1 Resume Services prepares resumes and cover letters for all job, employment and career fields. Our resume specialists have proven expertise in preparing resumes that secure job interviews. We create powerful content using the STAR (Situation-Tactic-Action-Result) and SAB (Situation-Action-Benefits) structures to successfully market your value proposition to employers. For pricing information, please call 416-912-7655. For your convenience, we accept MasterCard, VISA, American Express, Discover, eCHECKs and PayPal.